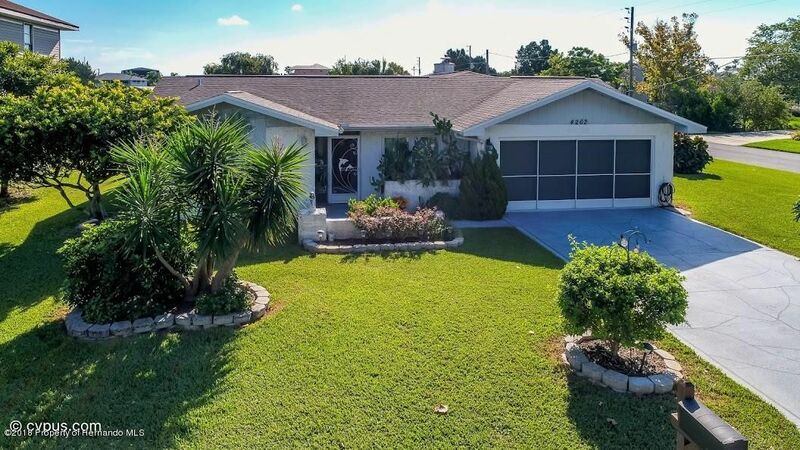 Well maintained 3 bed, 2 bath, 2 car garage waterfront home in Hernando Beach with Direct Access to the Gulf. Home features an appealing floor plan, giving an airy spacious feel. Features include a split plan layout, floor to ceiling stone wood burning fireplace & tile throughout the home. The master bedroom suite features include French doors out to the private pool, walk in shower, dual sinks & a large walk in closet as well. Relax on the lanai or swim in partially enclosed, sparkling blue pool. Lots of other important updates include new Samsung front loader washer & dryer, newer French doors & windows, newer water heater, security system, updated master bathroom, electric pool heater, new garage doors & screen, hurricane shutters, and an irrigation system. I am interested in 4262 Biscayne Drive, Hernando Beach, FL 34607.